The Recreational Vehicle Dealers Association conducted a survey of its members in early August and although the results are not emphatic, there is some optimism. Regarding sales logged this summer, 44% of the respondents said the market is better than a year ago, while just 27% said it’s about the same. 29% said they thought is was worse than last summer. More than half of those who responded said sales of towable RVs is better than last year. Motorhome sales were better this year for 18% of dealers. 82% of the respondents said there’s enough credit available for floor planning and 62% said there’s enough credit available for retail financing of RV purchases. Look for more survey results in the September issue of RV Executive Today. In a similar trend to neighborhood homeowners, the RVer is looking for smaller options these days. Where many RVers were looking for the big motorhomes for comfort and luxury five or six years ago, more and more are now considering fifth wheels and travel trailers. Dealers are having to respond to this shift. 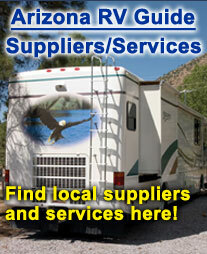 The savings is not just in the lower cost of the smaller RV, but also in the cost of the gas to power or tow it.